In spite of being generally lauded as one of South Korea’s best actresses, Moon So-ri has mostly featured in special appearances or as part of an ensemble in films in recent years. In fact, the only time she’s been in leading roles in the past 4 years has been in director Zhang Lu’s films (“Love and…”, “Ode to the Goose“) and her own directorial debut “The Running Actress”. 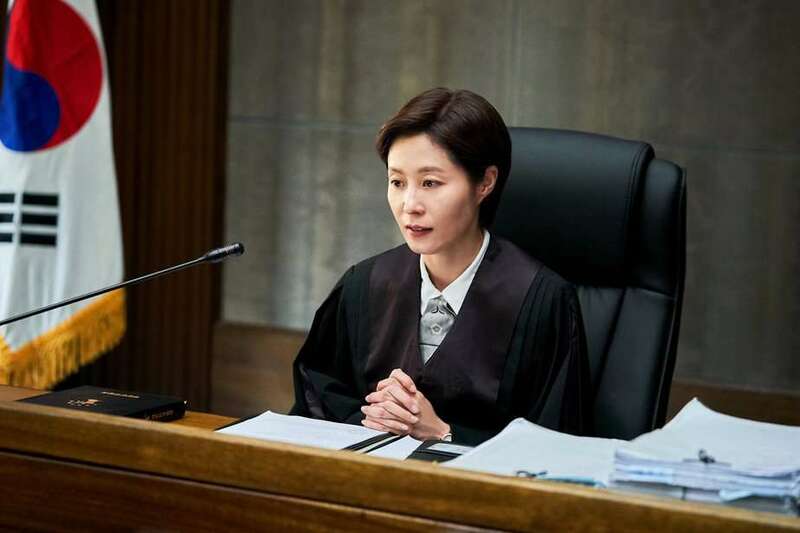 She kicks off her 2019 with yet another important leading role as part of an ensemble in director Hong Seung-wan’s debut film “The Jurors”. Kim Joon-kyeom is a presiding judge who leads the first civil participation of a criminal trial in South Korea. 8 jurors are selected for the criminal trial including Kwon Nam-woo. The jurors are ordinary people, but, after they become jurors, they seek out the truth of the case. Working off his own script, Hong Seung-wan attempts to tell the true story of South Korea’s first public trial. In addition to Moon So-ri as Kim Joon-kyeom, the other lead role of Kwon Nam-woo goes to Park Hyung-sik. While this is only his second feature film after “Two Lights: Relumino”, he is a k-drama regular. Hong has also managed to gather some excellent supporting actors, with Baek Soo-jang (“Rampant“), Kim Mi-kyeong (“Dark Figure of Crime“), Yoon Kyung-ho (“Svaha: The Sixth Finger”), Seo Jung-yeon (“The Villagers”), Jo Han-chul (“Default”), Kim Hong-pa (“The Drug King“) and Jo Soo-hyang (“Microhabitat“) making up the rest of the jurors. The film releases in South Korea on May 16th, 2019.